Mike Freeman's backpacking buddies did not want their tents near his, and his wife was tired of waking in the middle of the night to get him to roll over and stop snoring. Mike has sleep apnea, a pretty dramatic case, he has been told. But an online ad that led him to a University of Alabama at Birmingham ENT surgeon has helped. "I was diagnosed with sleep apnea back in 1995," Freeman said. "It kept me from getting restful sleep, so I was always tired and frequently woke with a headache. And the snoring was pretty hard on my wife, not to mention my camping friends." Sleep apnea is a common problem, affecting some 18 million Americans. Freeman's form is known as obstructive sleep apnea, in which the airway becomes blocked during sleep by the tongue or other soft tissue in the mouth and airway, leading to shallow breathing or pauses between breaths. And it is not just about snoring—apnea increases the risk of high blood pressure, heart attack, stroke and diabetes and can lead to or worsen heart failure. Since it interferes with a good night's sleep, it can also increase the risk for workplace or traffic accidents caused by drowsiness. After Freeman's diagnosis, he was prescribed continuous positive airway pressure, or CPAP, as are most patients diagnosed with OSA. While this is a highly effective treatment for those who tolerate it, it is estimated that nearly half of patients are intolerant of CPAP. Freeman struggled to use CPAP but was never able to achieve the clinical benefit he needed. Then he saw an online ad for a new product, an implantable stimulator for apnea called Inspire Upper Airway Stimulation. 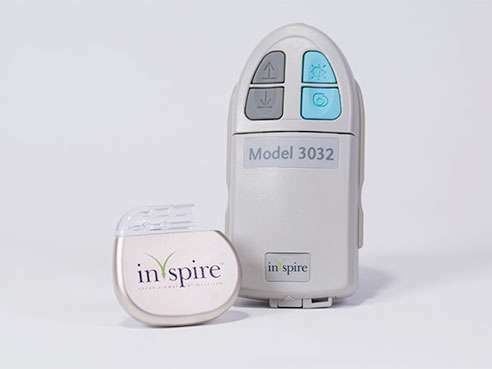 Inspire therapy consists of a breathing sensor, a stimulation lead, and a small battery/computer. Implanted during a short surgery, Inspire therapy continuously monitors a patient's breathing while asleep and delivers mild stimulation to key airway muscles, causing the tongue and other soft tissues to move out of the airway. "Obstructive sleep apnea occurs primarily because of the loss of muscle tone when we are sleeping," said Kirk Withrow, M.D., an assistant professor in the UAB Department of Otolaryngology in the School of Medicine and the first surgeon in Alabama to implant the Inspire device. "The tongue or other soft tissues interfere with airflow leading to obstruction. The stimulation from the device moves the tongue slightly forward and out of the airway, allowing for more normal airflow." 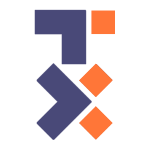 Freeman reached out to Withrow after seeing the ad, and soon discovered he was a candidate for the procedure. Appropriate candidates have failed CPAP or other treatments and have the type of obstruction that will respond to the electrical stimulus of the device. 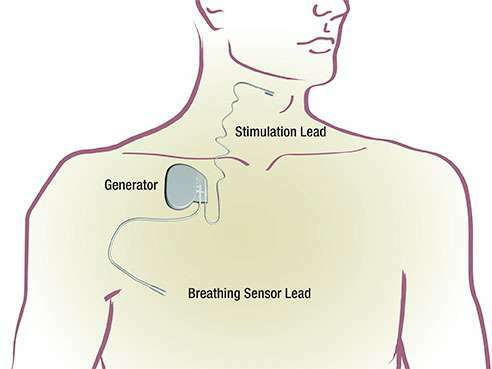 The device is implanted in the chest, with a stimulation lead run underneath the skin to a position near the hypoglossal nerve, the nerve that controls movement of the tongue. Most patients go home the day of surgery. In about a month, the device is turned on during a clinic visit. Thereafter, patients use a remote control to turn the device on at bedtime and off upon rising. Freeman first saw Withrow in November 2015, and the device was implanted in January. On Feb. 15, it was turned on for the first time. Freeman could not be happier. "I don't even wake up when it stimulates or realize that it is taking place," Freeman said. "I'm sleeping better than I have in two decades, and I'm feeling great." Freeman says he has put away the CPAP machine and is back on the trail. "We did a backpacking trip to the Sipsey Wilderness in March, and I slept great," he said. "No struggling with CPAP, no snoring. My companions were pleased." There are 65 centers nationwide implanting the Inspire device. Withrow has performed a dozen cases and has seen very positive results from every patient. "For the appropriate patient, this therapy is an excellent alternative to other surgical options for treating OSA," Withrow said. "Sleep apnea is a serious issue and can have significant effects on health and well-being, beyond the issues of snoring or lack of sleep. We're very pleased to be able to offer this as an alternative therapy for our patients with obstructive sleep apnea."